An AMICI exclusive, the SealFlex disposable ribbed cushion masks have human engineered natural contour to provide an excellent seal while promoting patient comfort and cooperation. The transparent material allows for unobstructed patient viewing. 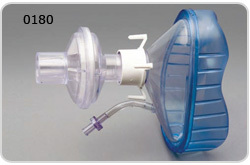 The Luer Lock Direct Dose check valve guarantees a "no-leak administration" within the mask cavity. 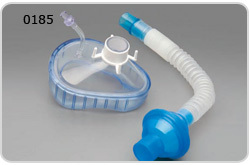 The SealFlex masks are available in time and space saving convenience kits. One package per patient gives you everything you require. The new Extend-N-Bend (ENB) tubing kits are especially convenient. Just grasp the tubing end cuffs firmly around the connected fittings and stretch, gently, to the size you require (within the full length of the tubing).